For almost 2 months, I've been wearing my hair in a high bun. 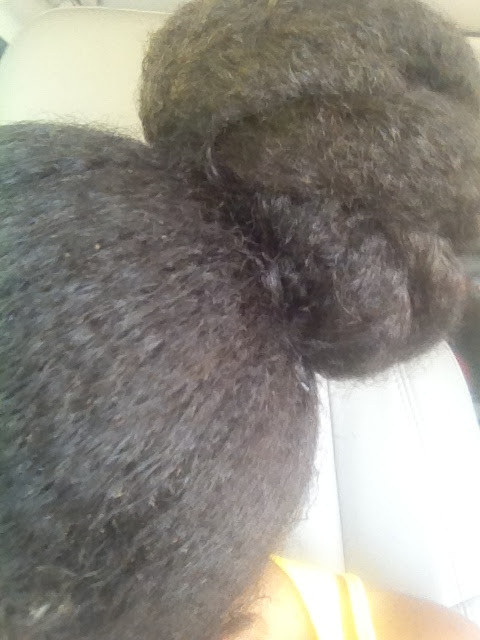 I was wearing a protective style and didn't realize that I was doing a bun challenge, lol! 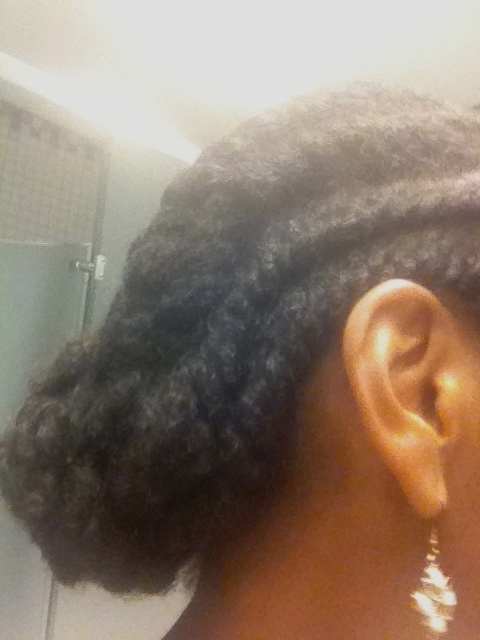 With this protective style, I always moisturize my ponytail every night and then re twist the hair back into a bun. 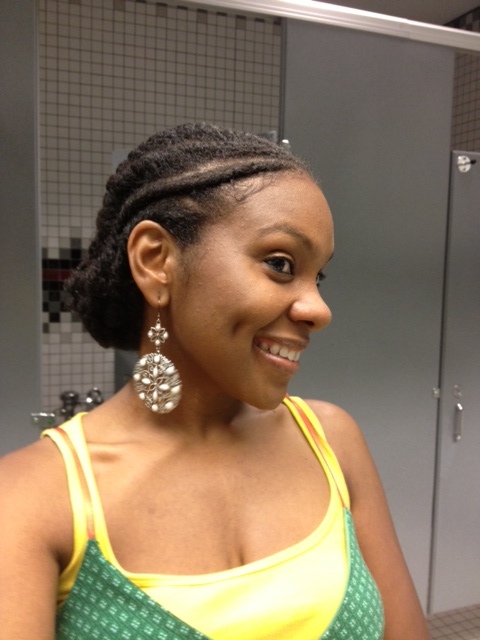 What is a protective style? A protective style is designed to keep the ends of the hair tucked away, to protect from rubbing, and splitting. Low Maintenance -The less you mess with your hair, the more it flourishes. Natural hair likes to be left alone. Retains Growth- Protective styling helps with growing the hair longer. When hair constantly breaks, it's hard to see the growth. Keeping your hair in a protective style, reduces the amount of breakage. A Break- The reason why I wore my hair in a bun for so long, because I was enjoying the break from doing my hair. When you're a Domestic Naturalista, finding the time to style hair can be difficult. I enjoyed my protective style! Flat twist (This is how I'm wearing my hair now).